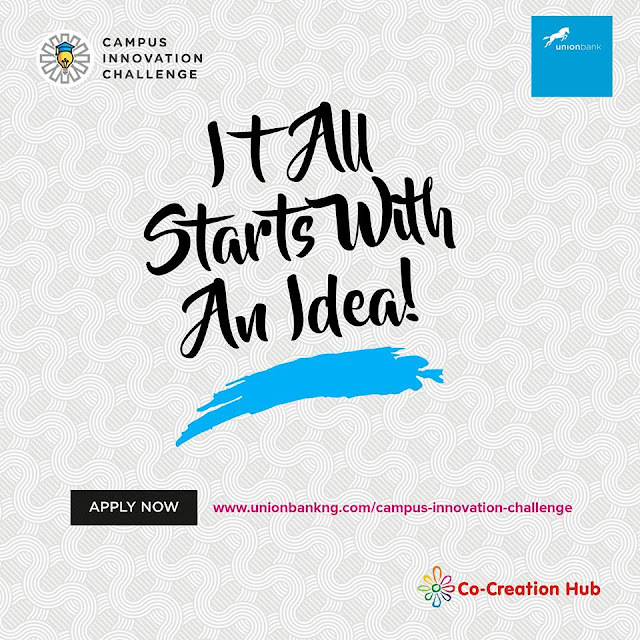 Union Bank is running the Campus Innovation Challenge to discover and support students engaged in entrepreneurial activities across tertiary institutions in Nigeria. We want to see innovative, technology-driven ideas to address social and business challenges in Nigeria. We are looking for bright ideas in the areas of agriculture, education, financial inclusion, millennial banking, creative arts and other solutions that address local needs. We are excited to introduce the Campus Innovation Challenge, in partnership with CCHub. This initiative is targeted towards university students in Nigeria. Click this link - https://www.unionbankng.com/campus-innovation-challenge/ - to learn more!